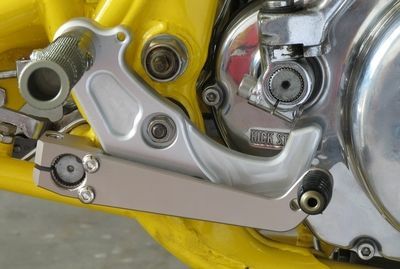 CNC machined billet alloy rearset footpegs to fit the Yamaha SR500 & SR400. 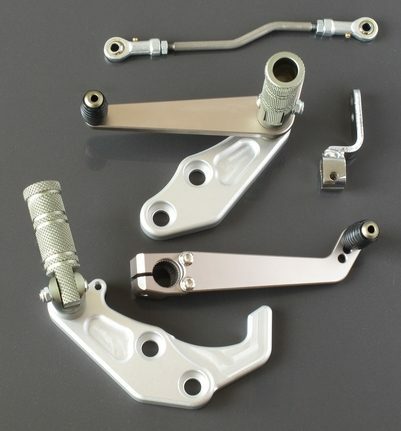 High quality rearset footpegs for the Yamaha SR500 / SR400. 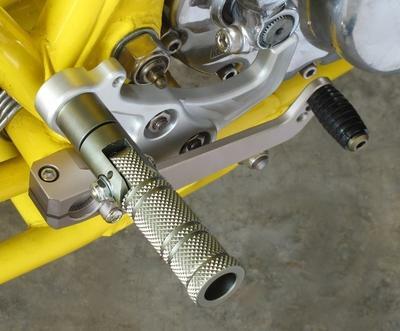 CNC machined from billet alloy. 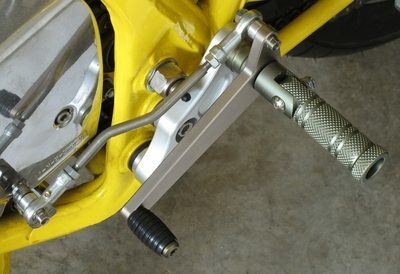 The shift lever is fitted with a ball bearing and heim joints for smooth precise action and adjustment. 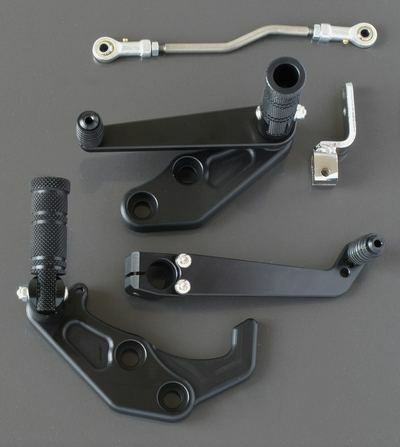 The folding knurled alloy footrests click into the up or down position with a spring and ball bearing mechanism. Suitable for a rear drum or disc brake. Available in two-tone champagne & silver, silver, or all black finish. 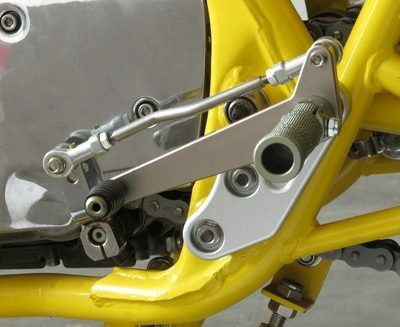 Note: The current version uses a single spacer on the shift linkage; not the two spacers pictured.